When I grew up, rock and roll was king and I was one of its willing subjects. 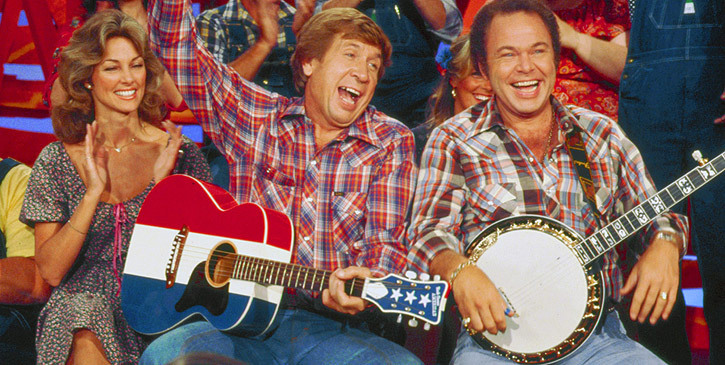 I also spent a lot of quality time with my grandparents and, at their house on Saturday nights, Hee Haw was king. Back in the Dark Ages, most homes only had one TV, two at the most, and at their house the second TV was in their bedroom. So, if, while visiting, I wanted to watch TV on Saturday night, I was forced to sit through an hour of country music, which I despised at the time because it wasn't cool like rock and roll. It was for old folks, like my grandparents. Despite the fun of staying at the farm over the weekend or for the week, I dreaded that hour on Saturday night. They knew it and they thought it was funny. words running unbidden through my head. It brought not only amused laughs and grins to my face, but, also fond memories of my grandparents and the farm, and times when life seemed better. quality, which long ago either bridged or transcended my distaste of country and my love of rock.